The title pretty much says it all. The Cornley Polytechnic Drama Society are putting on a 1920s murder mystery, but as the title suggests, everything that can go wrong… does! 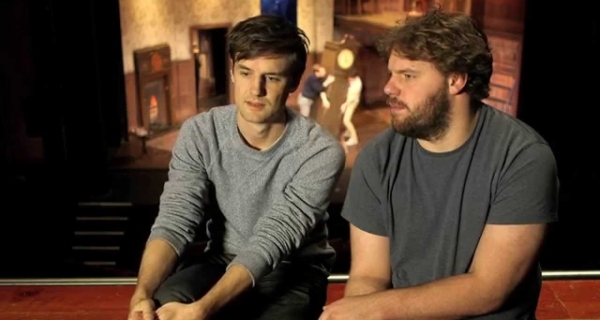 Following rave reviews at the Edinburgh Festival and a sell out season at the Trafalgar Studios, The Play That Goes Wrong has been expanded and fast became a sell out success at London’s Duchess Theatre where it is shattering box office records. The group are now working on Peter Pan Goes Wrong their follow up to The Play That Goes Wrong. Founded in 2008 by a groups of graduates of The London Academy of Music and Dramatic Art, the company started life as an improvised comedy group. The company has now grown and performs scripted comedy and improvised work in the UK and around the world. 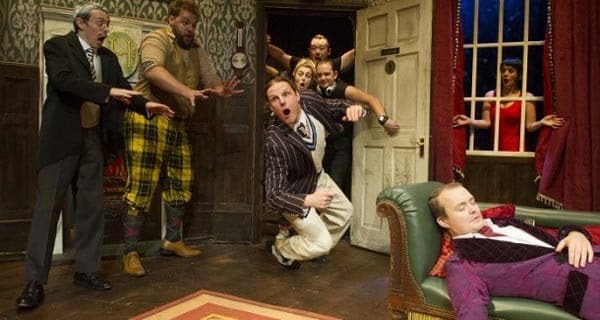 Britishtheatre.com offer great Group Booking rates to The Play That Goes Wrong. Just click the BUY TICKETS button on the top right of this page and then click the REQUEST A GROUP BOOKING option when asked the number of seats you require. Britishtheatre.com is the one-stop online box office for tickets to The Play That Goes Wrong and for the best seats to the best shows in London’s West End. Whether you are a first-time theatregoer or a seasoned fan of theatre we will do our best (together with our ticketing partners) to ensure that you get great deals on theatre tickets and the very best of service. 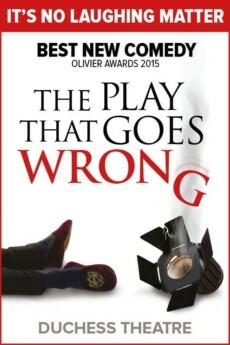 Beautiful- The Play That Goes Wrong is the runaway comedy hit of 2014 so don’t miss out on the laughs.. We hope to facilitate your trip to The Play That Goes Wrong at London’s Duchess Theatre and hope that you enjoy this very special theatre experience. BOOK TICKETS FOR THE PLAY THAT GOES WRONG AT THE DUCHESS THEATRE! I feared I was going to hyperventilate. A triumph of split second timing. It’s not sophisticated and it’s certainly over-extended; the show’s one-act Fringe origins aren’t hard to spot. Yet, along with the rest of the enthusiastic audience, I laughed continually. It is two parts farce, two parts pantomime, two parts every-trick-in-the-book hokum, two parts garbage and two parts wry, witty material which is sometimes utterly hilarious. The central conceit is that amateur dramatic societies can’t possibly do anything well and that all members of such societies are either pompous self-deluded wannabes or idiotic gurning morons. Like most fallacious and offensive notions, this central conceit provides a rich vein of potential hilarity. 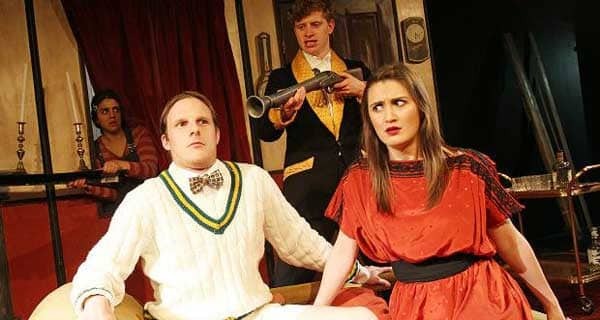 Click here to read our review of The Play That Goes Wrong in full. The Play That Goes Wrong UK Tour – Book Now!